It’s game time. You and your buddies have tickets, the burgers, and the beer. Naturally the next step would be to take advantage of our Party Buses or Mini Coach Buses for an awesome tail-gating experience. Or, maybe your favorite musician is in town. You’re ready to dance the night away, but no one wants to drive. We will be your sober driver. What is one of the most frustrating things about attending a concert or sports event? Traffic – and parking! Not only do you have to fight with trying to get to the game, and then having to find parking – you have to fight with the snarl of everyone trying to leave at the end! 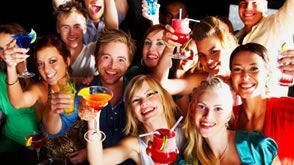 Instead of missing the last 10 minutes of the game or missing that third encore, hire Chicago Party Bus Rent! We will ensure that you get to your event on time, and stress-free! Each of our mini-buses is featured with flat screen TVs and surround sound, plus comfortable, plush leather seating (perfect to nap in on the way home). We service local sports and concert venues (see list at end for details), in addition to out-of-state or other city venues for professional or college sports. There’s nothing better than attending your home state’s college football game with a ready-made party – we can provide the mini-bar stocked with water, soda and ice, you just have to add your choice of drink! Is your favorite musician or band in town? 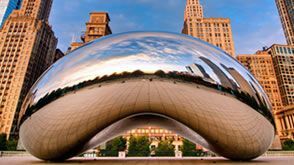 Taxis are few and far between at these events, and the wait can be horrendous – contact Chicago Party Bus Rent to get you there! We will pick you up at a designated location, and drive you to your venue – the cost of parking will be your responsibility, but the arduous task of locating a parking spot will be ours! 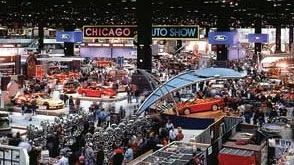 Sit back and enjoy the ride as we handle the logistical nightmare of winding our way through the city of Chicago; our professional drivers have years of experience driving our streets, so will always know the best and fastest way to get you where you need to go. Whether you are attending a concert or a sports venue, we’re the way to go! 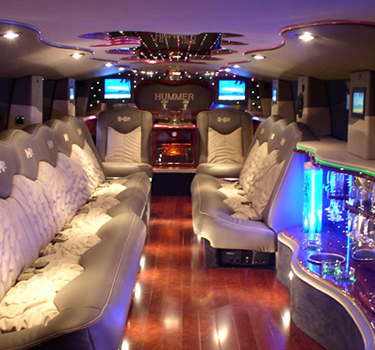 Contact Chicago Party Bus Rent for more information. Notre Dame Stadium, Welsh Ryan Stadium, Milwaukee County Stadium, Bradley Center, Miller Park, Tiger Stadium, Memorial Stadium, Peoria Stadium or any other professional or college sporting venue you want to get to! 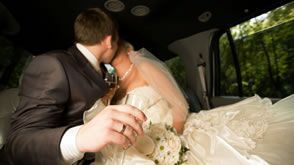 A wedding, bachelor and bachelorette parties are special days with unique transportation needs, and often a greater level of intimacy. We make it safe and exciting. And we don’t just take you there in style; we pamper you all along the way. Like a complementary, stocked bar and champagne toast.